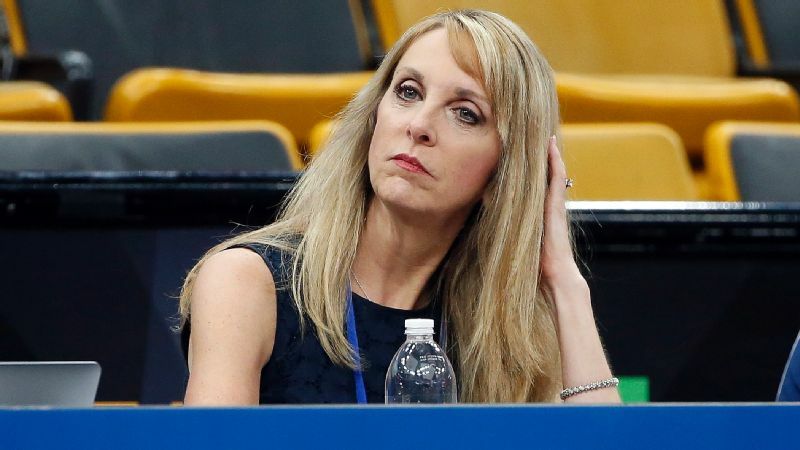 Kerry Perry, named president and CEO of USA Gymnastics eight months ago, met with the media for the first time on Sunday. 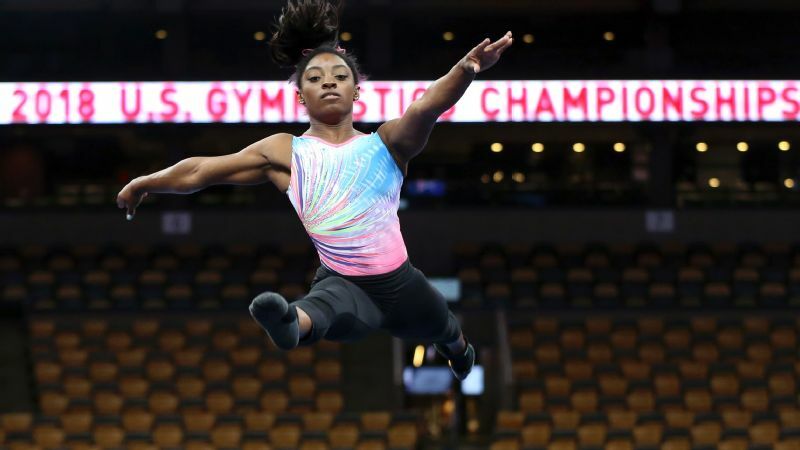 BOSTON -- Simone Biles won her record-breaking fifth all-around national title Sunday night in dominating fashion, standing atop the podium on every single event during the U.S. Gymnastics Championships. It was just her second competition back after a two-year break following her five-medal triumph at the Rio Olympics. 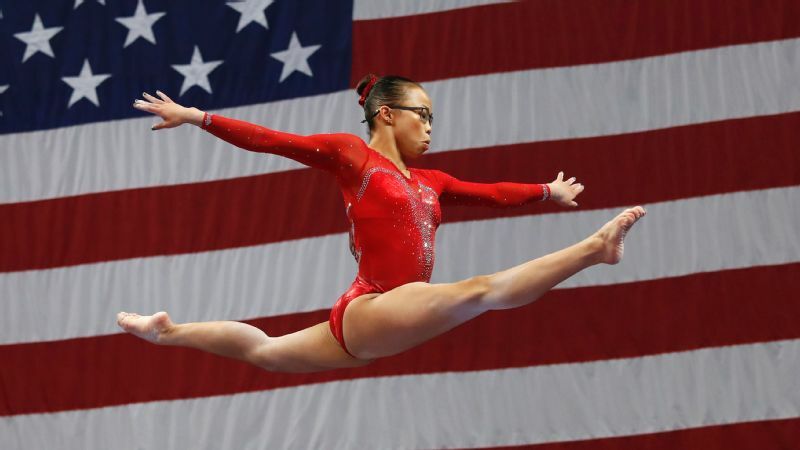 Despite her incredible athletic feats over the weekend -- and they truly were incredible -- she was overshadowed by the sexual abuse scandal that has rocked USA Gymnastics for the better part of the past year, and its continuing fallout. You know who else deserved better? McKayla Maroney. Aly Raisman. Gabby Douglas. Ashton Locklear. Maggie Nichols. Jordyn Wieber. Jamie Dantzscher. Mattie Larson. 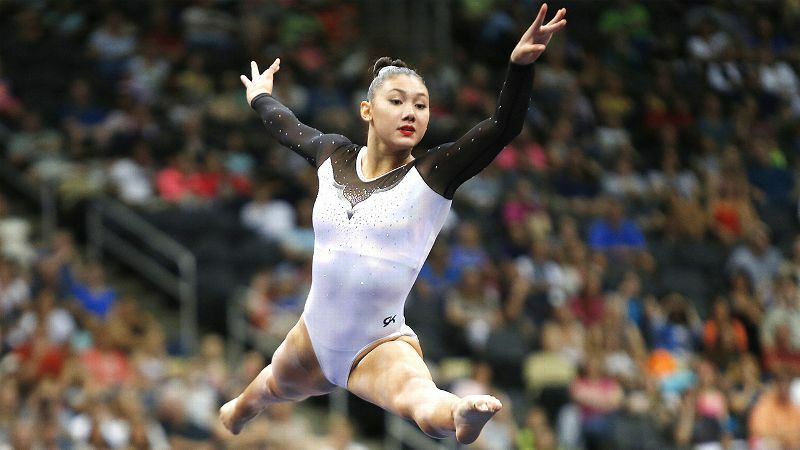 Kyla Ross. Madison Kocian. The list goes on and on. 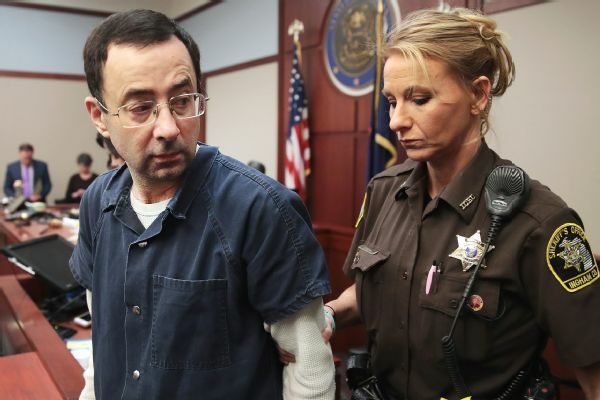 Yet dozens of athletes within USA Gymnastics, and hundreds of others who were abused by Larry Nassar at Michigan State, were subjected to assault by the disgraced doctor due, in part, to the enabling of several in the organization and the fostering of a hostile and abusive environment within the national team system. Two years after the Indianapolis Star's first report on the issue, horrific stories continue to emerge as more and more women come forward. 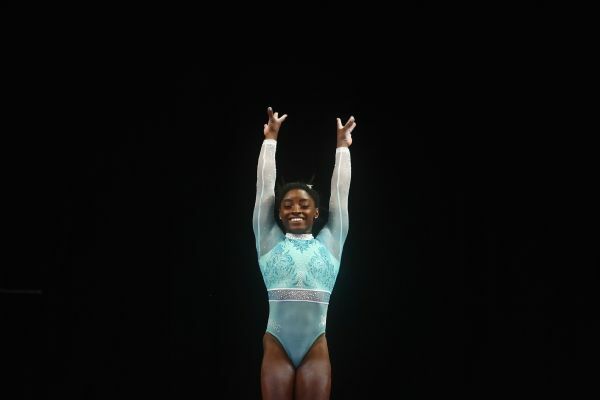 Simone Biles, who dominated the all-around in the U.S. Gymnastics Championships, said Kerry Perry needs to speak out more as head of USA Gymnastics. Kerry Perry, who was named the organization's president and chief executive officer in December after the resignation of Steve Penny, addressed the media for the first time ahead of Sunday's night session at the TD Garden. Let that sink in for a second -- it was her first time speaking to the media on the record in more than eight months of being on the job. Chellsie Memmel, a member of the 2008 Olympic team and on the search committee for the new president last year, expressed her disappointment in Perry's public absence since taking the job. "I want more," Memmel said shortly after Perry's news conference. "I know this was her first interview, or first time being open to talking and taking questions, and that's a little disappointing. Going into [the hiring process], our expectation was that she was going to be the face of USA Gymnastics and a positive change and a positive force. To me, that's been a little disappointing and I would like to see more." The Boston crowd seemed to agree with that feeling as a hush fell over the arena when the new president's name was announced during the medal ceremony at the end of the evening. Perry read a seven-minute statement to open her remarks in the news conference, then spent roughly 15 minutes answering questions. Well, sort of. She didn't answer much and talked broadly about making changes. While she mentioned she was unable to answer certain questions due to the ongoing litigation, Perry remained vague in her responses even with questions that didn't seem to reference the legal proceedings. She was insistent the athletes were at the center of every decision she and her team have made, and mentioned the constant need for their voices, but yet has clearly not spoken to several of the women listed above. Raisman has previously been critical of Perry's lack of outreach, and Biles herself echoed a similar sentiment earlier this week when asked about the direction of the organization. "Hopefully it's going in the right direction, but nobody can know until Kerry Perry speaks up," said Biles, who wore a teal leotard Sunday night in part to honor the sexual abuse survivors. "It's kind of hard." When asked if Perry needed to speak out more, Biles said simply: "Yes, it's her job." Perry insisted she had spoken to Biles when asked about her comments on Sunday, and claimed to have had several conversation with Biles' parents. The 21-year-old disputed the claim. 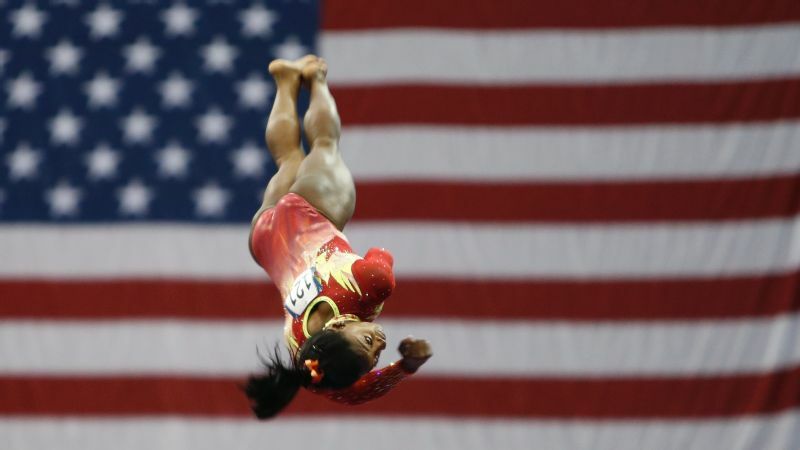 "She really hasn't talked to my family too much," Biles said after her victory. "I know we had an interaction in January. It was like, 'Hey, whatever her title is, president of USAG,' and [she was] just kind of passing through. That was it." Kocian and Ross came forward with their allegations against Nassar on Thursday, and both said they had no communication with the organization. 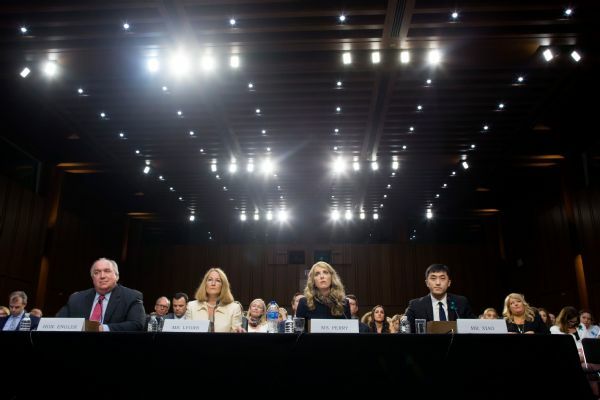 One would think Perry would have made reaching out to them a priority over the past few days, but when asked in Sunday's news conference if she had spoken to them, she gave a long-winded answer that ultimately indicated she had not. "Have I reached out to them specifically? So part of the challenging situation that we have as an organization is that we are in a legal environment," Perry said. "My hope is that as we move toward resolution that not only can we have those communications but that we're engaged together moving forward. I have spoken to some of the survivors, and I have spoken to some survivors outside of the sport. ... I think that overall, as we continue down this path, that's going to continue to be a moving part." Perry's lack of communication with so many of the highest-profile athletes is hardly the organization's only problem. The loss of several longtime sponsors, including Under Armour, Kellogg's and Procter & Gamble, the previous title sponsor of the U.S. 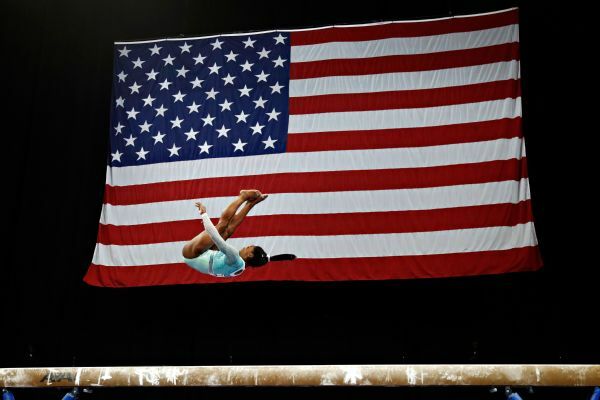 Gymnastics Championships, have been well documented over the past several months. Xfinity was the only visible sponsor during the weekend's event, but even that is part of a larger deal with the U.S. Olympic Committee, and its multi-sport Team USA Summer Champions Series. Perry indicated she had positive conversations with other sponsors, but didn't specify which ones. It's clear, no matter what spin is put on it, these are very precarious financial times for the organization as settlements and more lawsuits loom. Even the crowd, while certainly animated and vocal for the top competitors, seemed more sparse than usual. The attendance for Friday's night session was 5,835 and Sunday drew 8,360 for both sessions. While 2017 figures weren't immediately available, the numbers paled in comparison to the same day of competition in 2015, when 15,370 attended. The Olympic trials in 2016, which justifiably tend to draw the biggest crowds, saw two sold-out nights of 17,904 people each. Despite the return of Biles, which surely has attracted a lot of attention and more than a few "Team Simone" shirts, the arena this year was filled to less than half of its allotted capacity. It's a shame that Biles and her talented peers don't get the positive fanfare they deserve. But it seems increasingly less likely they ever will if USA Gymnastics continues its current path. In January, the U.S. Olympic Committee demanded the entire board resign in order to keep its status as the governing body of the sport, and while that did happen, perhaps a new federation is exactly what the sport needs. As it seems USA Gymnastics just can't get it right, and has proven this over and over, it's time for a fresh start. These athletes deserve a place that will let their abilities and hard work shine while also, and more importantly, keep them safe and in a healthy environment. It's time for a change, and there are 300-plus women who likely would have some great suggestions in doing just that.